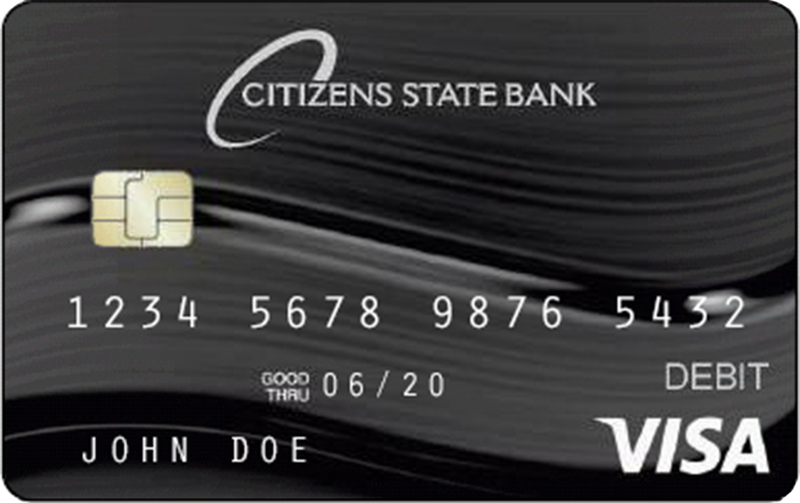 A chip-enhanced Citizens State Bank Visa® debit card offers you a convenient and quick way to access your checking account to make a purchase or to withdraw cash. Access your funds 24/7 at our convenient ATMs. A chip-enhanced card is a standard card that contains an embedded microchip as well as a traditional magnetic stripe. The chip encrypts information to increase data security when making transactions at terminals or ATMs that are chip-enabled. The chip on your debit card provides additional security only when used at a terminal or ATM that is chip-enabled. Visa® debit card is available to qualified Citizens State Bank customers.